Reverb... it's either too basic or too complicated. Not anymore. 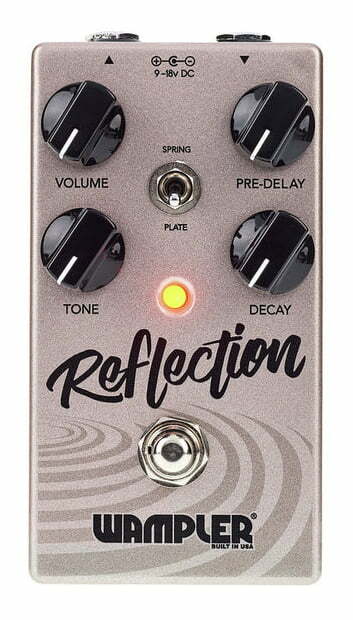 The spring and plate reverbs onboard the Reflection have been expertly voiced to sit as comfortably on a surf rocker’s board as they will adding subtle air in a studio environment. The spring setting faithfully replicates the boing and drip of the classic effect, while the plate places your tone in 3-dimensional spaces that add beauty and character to everything you play. The life of a performing guitarist doesn’t offer a lot of time for tone-tweaking on the job. That was a guiding consideration when crafting the Reflection reverb. 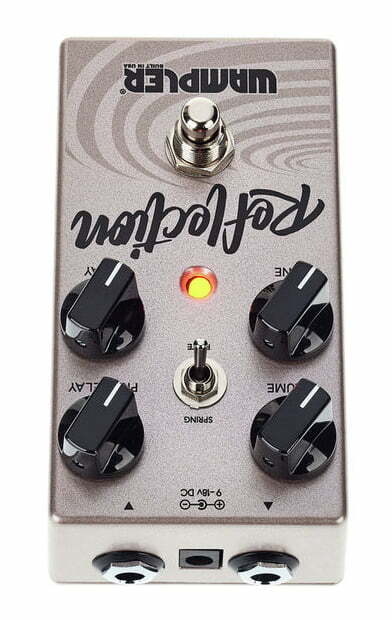 You’re able to conjure the detailed tones with the twist of decay, tone, pre-delay, and reverb volume knobs. You’ll also find internal controls for allowing the tails to ring through and for adding or removing your guitar’s original signal. Brian Wampler’s attention to detail and commitment to designing the best and most player-friendly products out there are second to none. 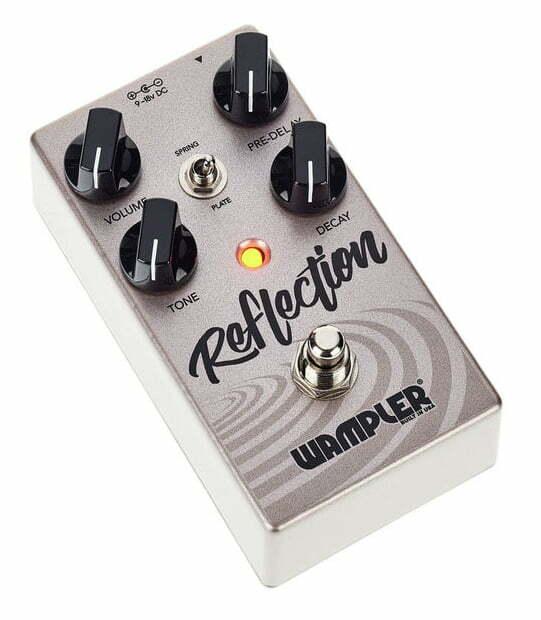 Those qualities are on full display within the Reflection reverb. 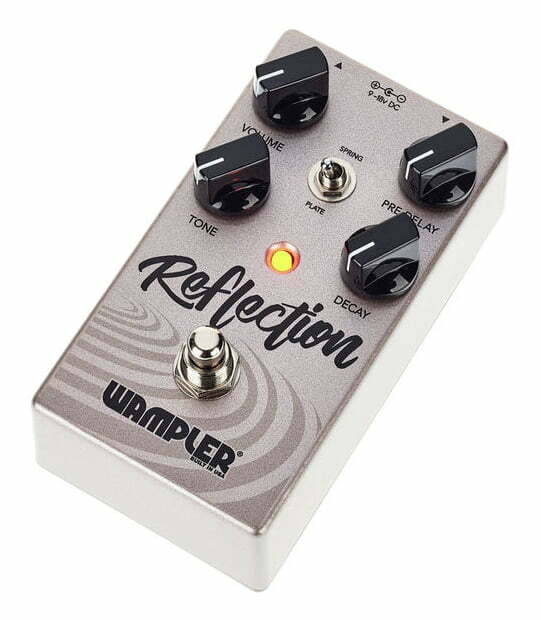 From its convenient top-mounted jacks to its top-tier components, the Reflection reverb pedal is every bit a Wampler.